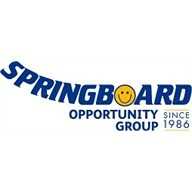 Springboard's aim is to give young children with additional needs the best possible opportunity to live fulfilling and independent lives. For more information please see our website. opportunity group for children with special needs and their families. Flexible admissions policy please contact us for details. Are you intending to provide 30 Hours? Are you registered for Tax Free Childcare? We run specialist, structured play sessions for pre-school children with additional needs and disabilities in Clevedon and Weston super Mare. Also offer Stay & Play sessions each week for families with very young children, who may need extra support and a first step to Springboard.